There are many situations where a tie is needed but there is no swing latch, or where there is no room to swing the latch. That is where the Half Clip comes in handy. Our clip is narrow, to fit in tight spots, and it has a tapered lead in the slot to make it easier to catch the tie. This Clip is used to join narrow fillers (ones without a latch) to an adjacent corner. The E-Clip locks the filler and corner together and catches a tie. Our clip features chamfered corners for easy handling and a tapered lead in the slot to help catch the tie. Offset Clip for cases where the bars are not in line. 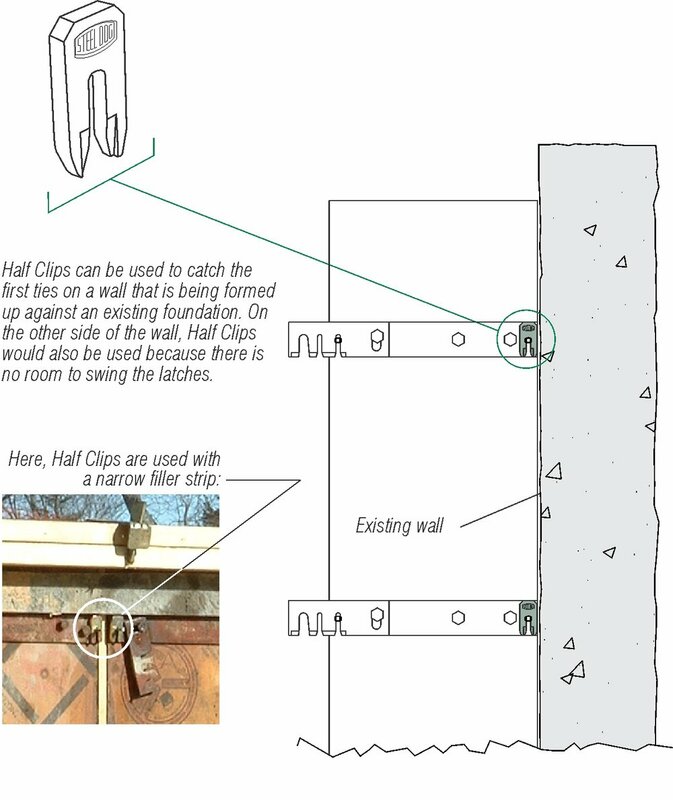 When there is a step-up on the footings, or any case where adjacent panels must be shifted vertically so that the panel bars do not line up, the Offset Clip can help. 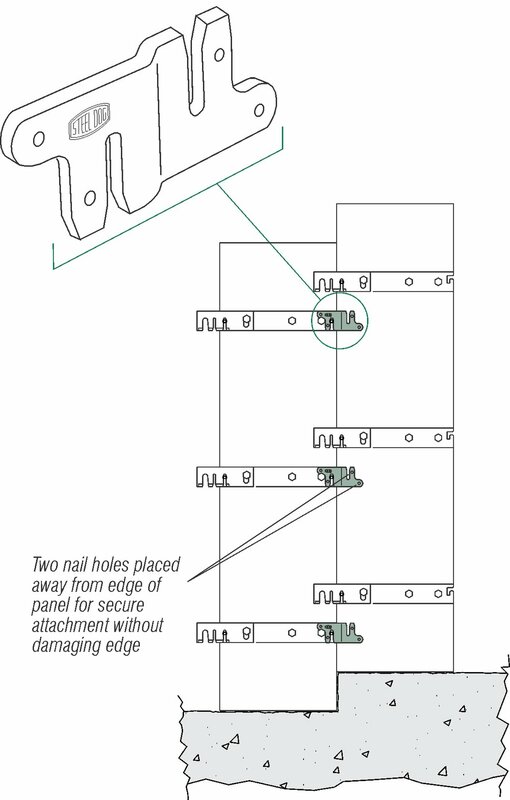 This clip catches a tie and connects the panels with two holes for nailing into the plywood. 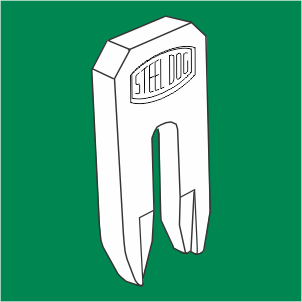 Symmetrical design means the clip works the same way on either side of the wall.